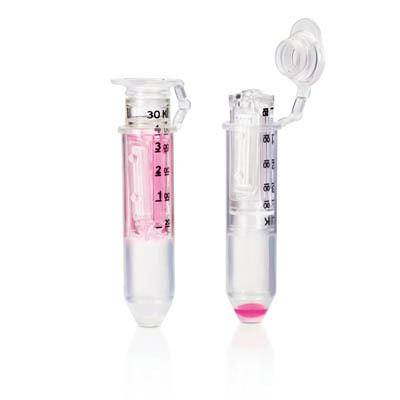 Designed for protein purification, protein concentration and desalting. MilliporeSigma™ Amicon™ Ultra-0.5 Centrifugal Filter Units feature reverse spin capability and are available at two MWCO levels. Constructed with Ultracel membranes, styrene/butadiene housing and polypropylene caps and tubes.